I have a serious shopping problem. I'm always buying new clothes, and I rarely need new ones, but ALL THE PRETTY THINGS! 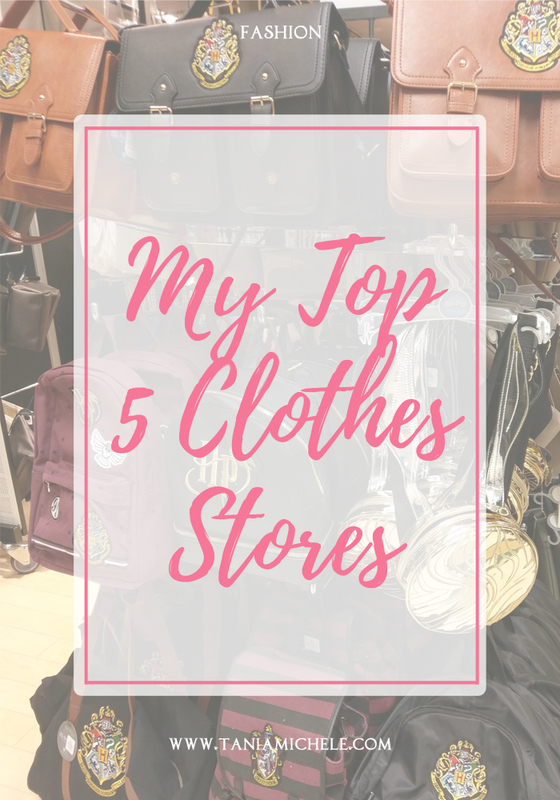 I've got a lot better over the last year with my new clothes habit, but that doesn't stop me looking online or in store at new goodies I want to get my hands on. These are in no order in particular, but these are all my current faves! I still can't believe they don't have an online store yet... Anyway this is my go-to for basics and cheap items. I've recently bought some new dresses from here, which I love. 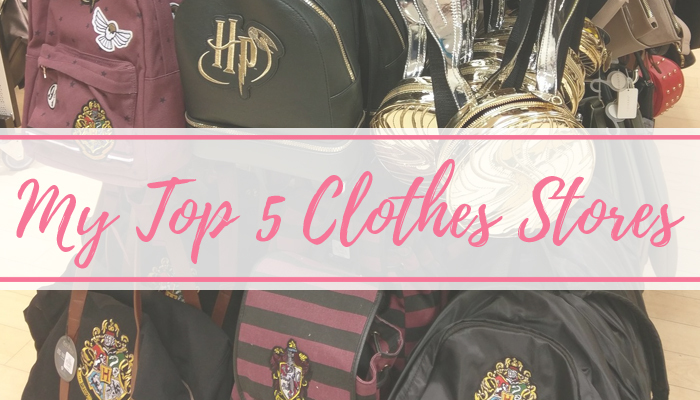 I mainly come in here now for shoes, bags, and any clothing with Disney or Harry Potter on it! Primark are really good at stocking geeky tees, so this is where a lot of my money goes. The wonderful plus sized store, which actually does tops that fit my big ole chest, but actually fits elsewhere. I've spent so much in this store over the last couple of years. There is always a good sale online, so I've always after a bargain! I've got some really beautiful dresses and tops from here. They stock lovely DD+ bras which have a good long life on them too. I struggle to find tops in here, but they always have a plethora of dresses that I adore and I've had a few maxi and skater dresses from here over the years. I love their shoes as well, plus their accessories section. This is one of my fave places to come to get a new handbag or heels. An online only shop, this is a place end-of-line items come to get sold for £5. There's new releases everyday, and I've managed to get some really nice shoes and tops from here over the last 10 years. I don't come on here as often as I once did, but it's still a good shop to come and look at if you're after a little bargain or some quirky shoes or bags.